imitating the dog, one of the UK’s most original and innovative performance theatre companies are set to bring their unique theatrical vision to the stage this Spring when they premiere a bold retelling of Joseph Conrad’s extraordinarily influential and timely novel – Heart of Darkness. The production will open at CAST, Doncaster from 5 Mar and will then tour till the 11 May 2019. 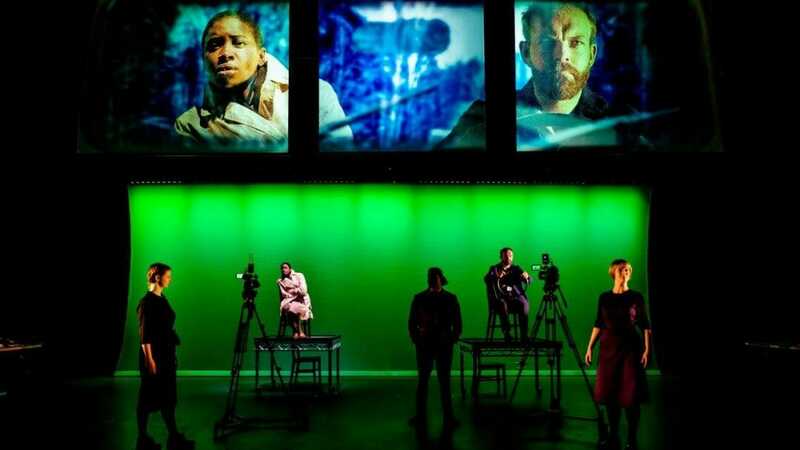 Following on from their popular and critically acclaimed adaptation in 2014 of Ernest Hemingway’s A Farewell to Arms, imitating the dog will stage an exploration of Conrad’s classic novel filled with visually rich, multi-layered work that fuses live performance and digital technology. Written more than 100 years ago, amid the optimism at the turn of a new century, Heart of Darkness, which explored the journey of Conrad’s narrator Charles Marlow travelling up the Congo river into the Congo Free State in the heart of Africa, is a tale of lies and brutal greed and of the dark heart which beats within us all. Now retold as a journey of a Congolese woman through war torn Europe, the play explores a forsaken landscape lost to the destructive lust for power and emerges as a tale absolutely for our time. Negotiating race, gender and the themes of exploitation, violence and nationalism, imitating the dog’s Heart of Darkness is a searing parable for our times, created at a moment when versions of Britain’s colonial past are being held up as a golden era and when our relationship with Europe is being severely tested. The production’s ensemble will feature Laura Atherton (A Farewell To Arms, imitating the dog); Morgan Bailey (In the Dark, BBC); Keicha Greenidge (In The Club, Bafta winning Three Girls and From Darkness, all BBC); Morven Macbeth (A Farewell to Arms, imitating the dog; Bring The Happy, Invisible Flock and Opening Skinner’s Box, improbable) and Matt Prendergast (The Train, imitating the dog).